Our Plyo Boxes have a large square base for stability and a large 16.5" x 16.5" landing area. These heavyweight plyometric boxes are a solid choice for plyometrics training and athletes of all sizes and abilities. The platform is covered with a 3/4" rubber anti-skid surface. 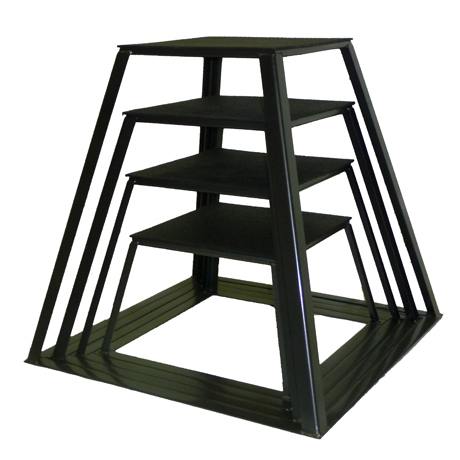 Steel construction Tops are reinforced 11 gauge plate steel (1/8") Stackable Use indoors or outdoors Charcoal Plyo Boxes are available as singles: 12" 18" 24" 30"